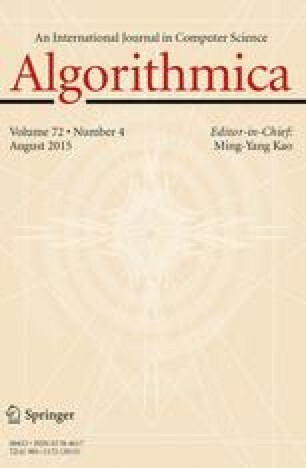 We study the problem of augmenting a weighted graph by inserting edges of bounded total cost while minimizing the diameter of the augmented graph. Our main result is an FPT \(4\)-approximation algorithm for the problem. A preliminary version of this paper was presented in . FF acknowledges support from the Australian Research Council (grant DE140100708). SG acknowledges support from the Australian Research Council (grant DE120101761). JG acknowledges support from the Australian Research Council (grant FT100100755). NICTA is funded by the Australian Government as represented by the Department of Broadband, Communications and the Digital Economy and the Australian Research Council through the ICT Centre of Excellence program.